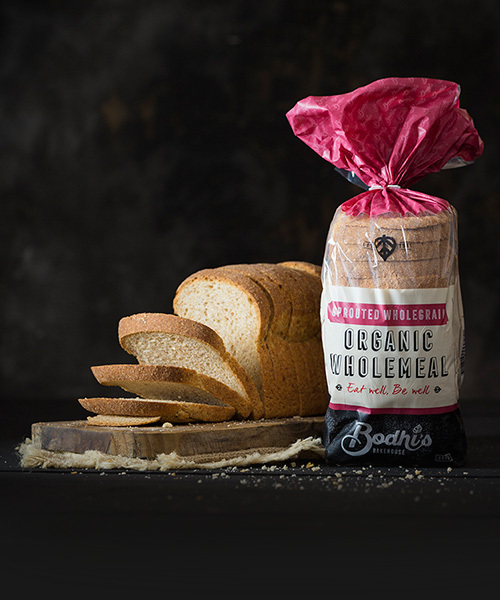 Organic Wholemeal Bread is made from 100% certified organic Sprouted Grains and natural Sour Dough. The use of certified organic sprouted wholegrains creates a highly nutritious loaf loaded with fibre, proteins and vitamins. 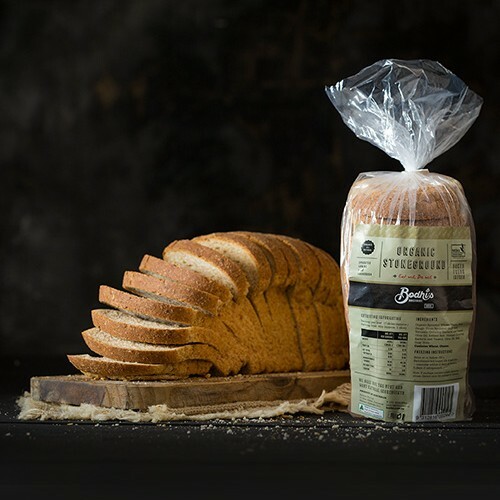 Organic Wholemeal Bread is a rustic old style wheat loaf with the great taste of organic wholegrains. 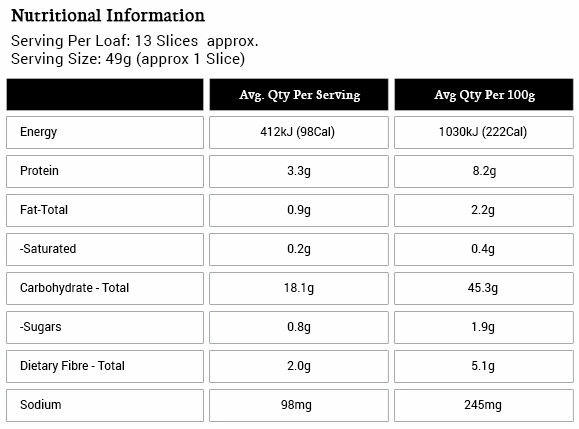 This loaf combines all natural ingredients for a full bodied, yet gentle tasting bread. Try a thick slice of Organic Wholemeal as a side dish to any thick chicken or vegetable soup or it can become a very wholesome meal served with freshly cooked chilli mussels! Good Source of Wholegrain fibre, proteins & natural vitamins and minerals! Eating 2 or more slices of Organic Wholemeal Bread everyday may help maintain better digestive balance by providing up to 30% of your daily fibre needs (whole grain fibre). The bread is a good source of hi quality protein. 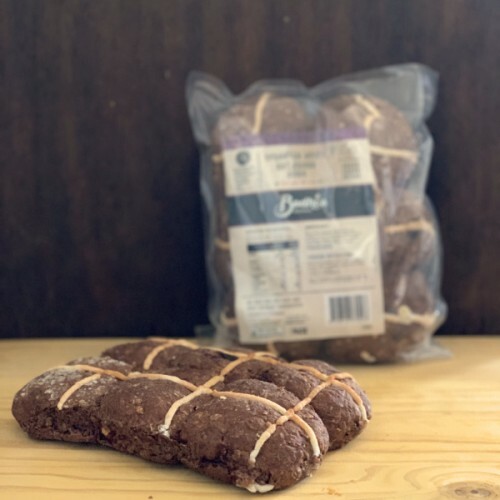 Organic sprouted wheat, organic wholemeal flour, filtered water, sour dough (made from sprouted grain and naturally occurring bacteria and yeasts) olive oil, iodised salt, vinegar, vitamin (thiamine).